Kalyana Kalpataru, or the “Desire Tree of Auspiciousness,” was one of Srila Bhaktivinoda Thakura’s famous songbooks. The mood of this songbook is philosophical and instructional to the mind as well as readers of this text. This covers general aspects of the philosophy, such as the need to worship Krsna, to more in depth topics, such as the nature of the spirit soul, demigod worship, and such. He does include a few kirtans glorifying Lord Krsna and Lord Caitanya. Compared to his Gitavali, which was filled with kirtans, this text does not have many of such songs. He sees this book as a tree, with three branches of Spiritual Advice, Attainment of Realization, and Overflowing Spiritual Emotion, or Upadesa, Upaladhi, and Ucchvasa. He concludes this work with eight kirtana songs. 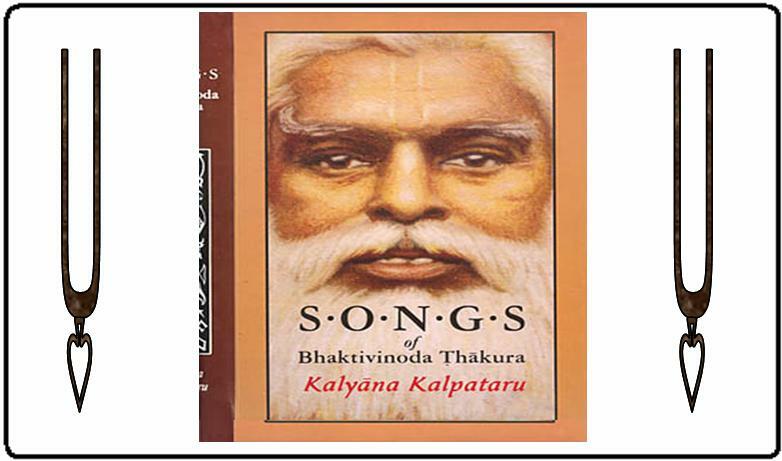 Unlike his Saranagati and Gitavali, which have songs that are frequently sung, this book doesn’t have too many songs common to the Vaisnava community in general. Although the songs “Ami Jamuna Puline”, “Kali Kukkur Kadan”, “Gopinath”, and “Vibhavari Sesa” which are well known are found in here.